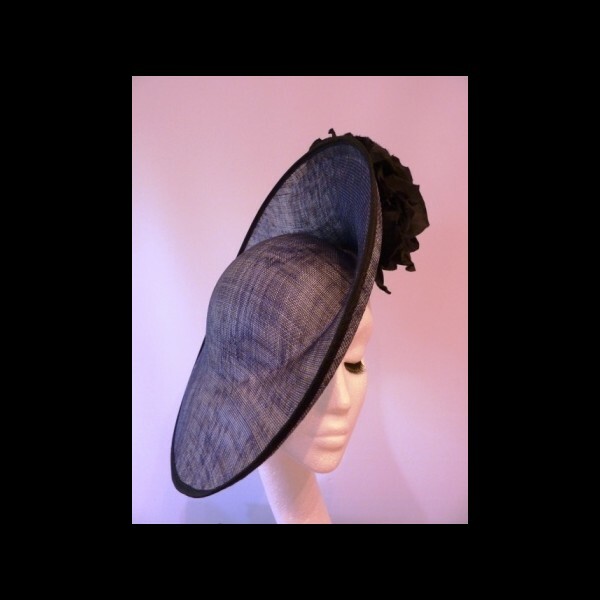 A medium sized saucer shaped headpiece with a moulded crown, created in a blend of dark navy and ivory sinamay. 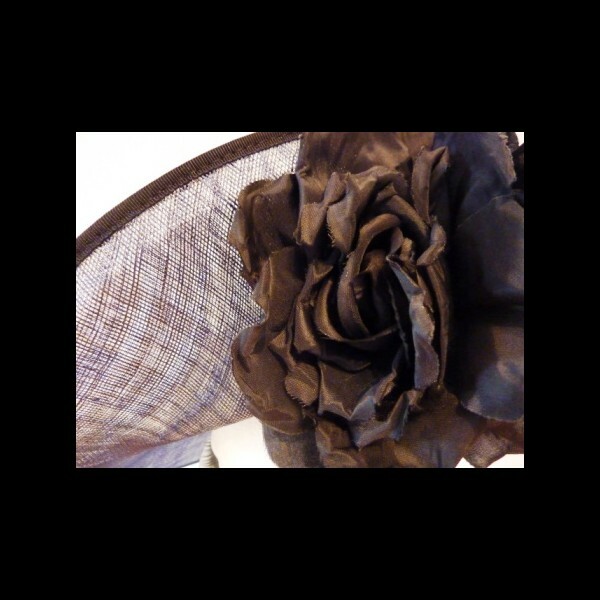 Two large rose shaped flowers on the underside in dark navy. 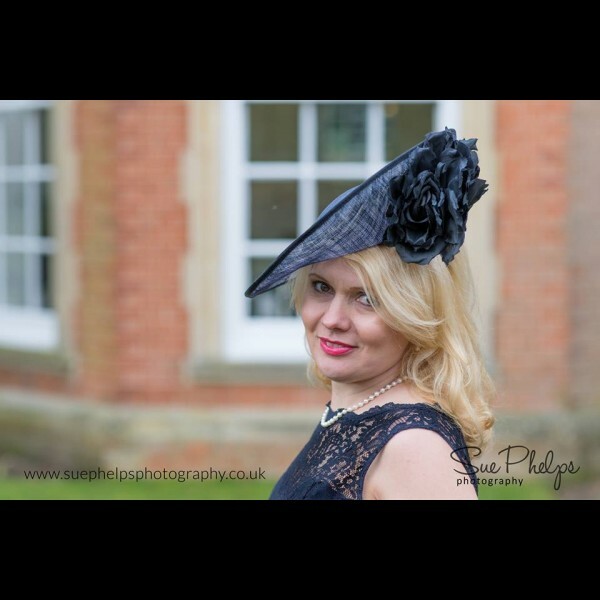 Gorgeous & Glorious Dark Navy & Ivory Medium Size Saucer Headpiece. This medium sized saucer shaped headpiece measures approximately 37cm in diameter. 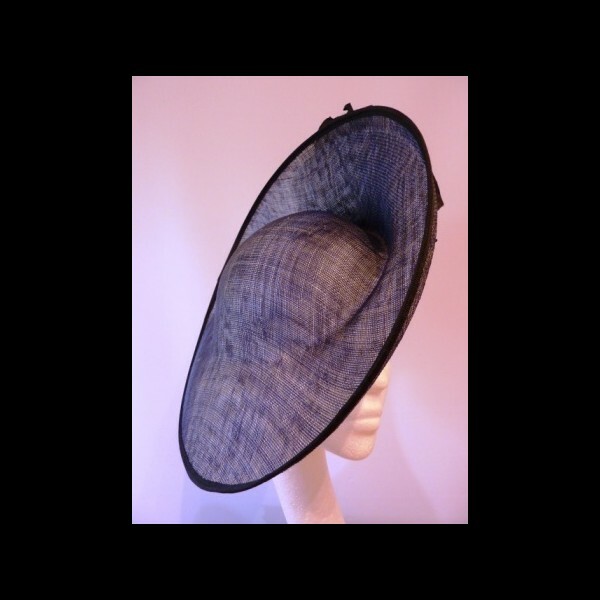 A slightly moulded crown is integral to the saucer which is mounted on a silk wrapped headband for comfort. Two sinamays in Dark Navy and Ivory have been blended to create a unique colour effect. The piece is finished with two large rose shaped flowers on the underside of the saucer. 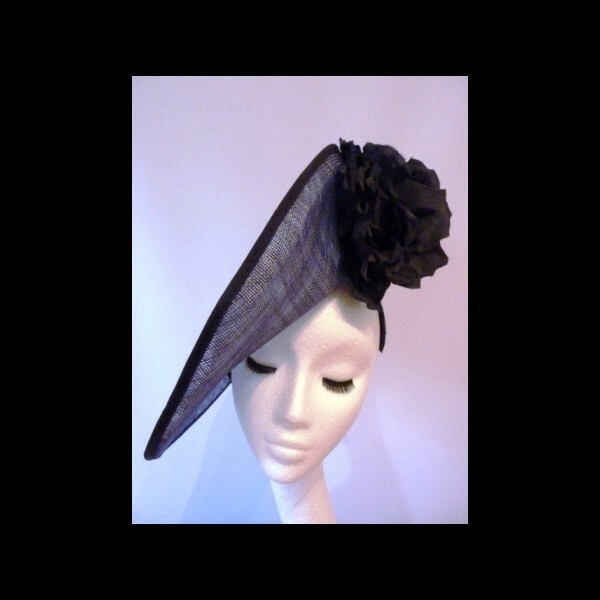 Simple, understated and stylish !